The trip had a few hiccups, but once we figured out the lift gate for the truck it was smooth sailing. 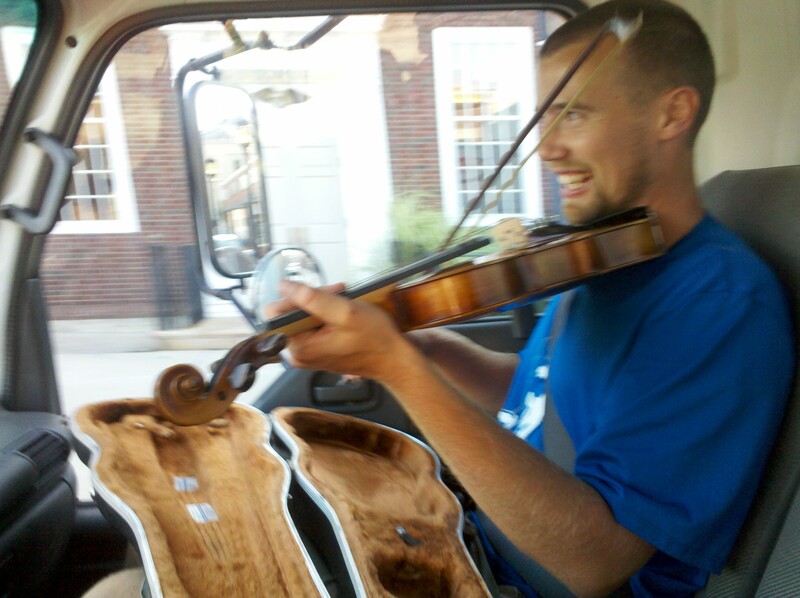 The instruments found their way to their new temporary home at The Musary with no problems. Now, they are ready for lending! If you are in the need for a piano, organ, or just about any other instrument please let us know and we will do our best to help you out. In other news, the most recent fundraiser was a tremendous success. We raised just about $2,500 thanks to Matt Blanchard at 15 Walnut, and the entire Potter family. This money went directly to helping us file for our 501(c)3 tax exempt status (which has been about a year in the making), and to the purchase of some new instruments that were requested. We’ll be sure to post more as information comes along. 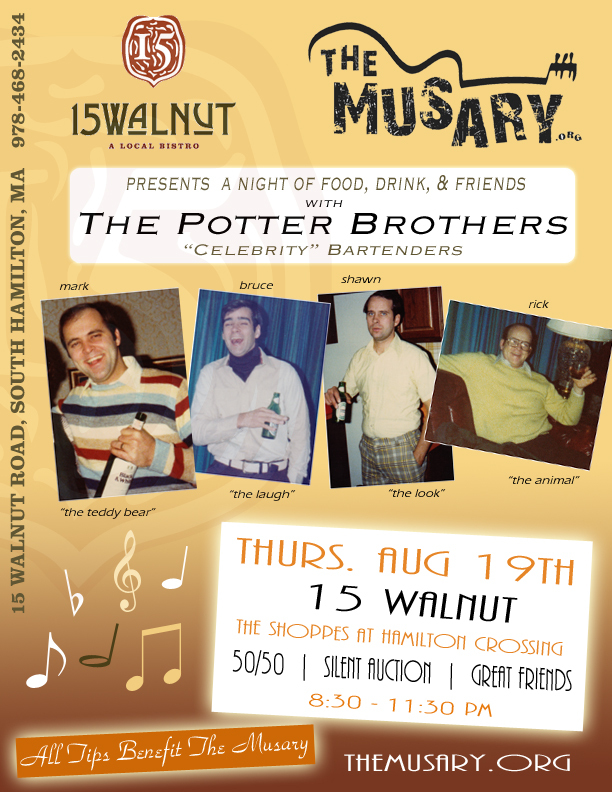 15 Walnut Hosts Celebrity Bartenders for The Musary!